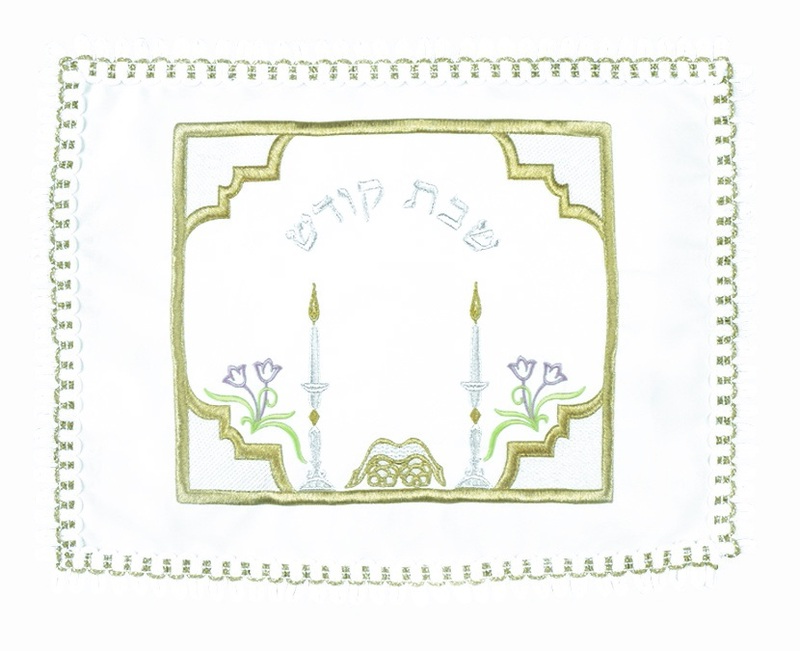 Made of elegant heavy brocade fabric, this challah cover is designed to portray a glance into the Shabbat. Images of challah, and candlesticks with lit candles on each and the Hebrew words “Shabbat Kodesh”, which means the “Holy Shabbat”, embroidered with gold and silver thread. There are two lilacs with green leaves that add to the coloring. The edges are finished with a neat looped trim.